Annie Maw was born into a naval family in Henley on Thames. She was educated at the School of St Helen and St Katharine in Abingdon. She trained to be a State Registered Nurse at Westminster Hospital in London where she then worked as a Staff Nurse. She married a St Bartholomew’s Hospital doctor and, when he took an appointment as a consultant surgeon at the Bristol Royal Infirmary in 1973, they moved to Somerset where they have lived ever since. Annie has been involved with several different charitable movements and activities over the years supporting the elderly, children and, in particular, those who are disadvantaged. She has also taken various further educational courses with a special focus on social history and on fine art and history of art. Since 1999 she has been a guide in Wells Cathedral. Riding and horses have always been a much loved pastime. She also enjoys gardening, painting, reading and writing. In 2002 she broke her back in a riding accident resulting in paraplegia. Despite life in a wheelchair, in 2008 she was High Sheriff of Somerset after which she chaired the Somerset Crimebeat Trust for one year. At the end of 2014 Annie was appointed a Deputy Lieutenant of Somerset and in March 2015 she became Lord Lieutenant. 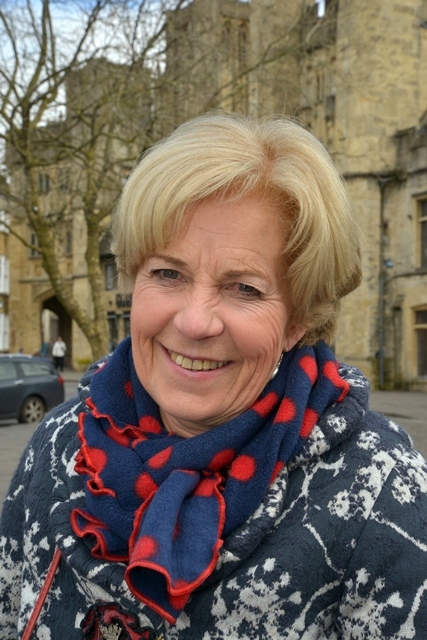 She is patron, trustee or president of a large number of different organisations across the county. Mrs Maw and her husband, Richard, ‘Dickie’ live in Pilton having formerly lived in the Chew Valley for many years. They have three children and five grandchildren.